In its own mind, the diminutive male ruddy duck is king of the water and he wants everyone to know it. Waterfowl are beginning to pour into area marshes and wet spots where winter snowmelt has yet to drain off. From the subtle but beautiful hues of the graceful pintail to the strikingly vivid wood duck, the males are resplendent in their breeding colors as they woo the ladies of their species. It is the ruddy duck though, that charms my heart. This is one of the smallest ducks on the water, yet the males parade about like professional wrestlers—chests puffed out and heads high on short thick necks and for their size, incredibly pugnacious. 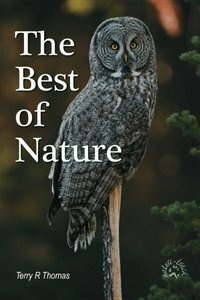 They will tolerate no other species including their own and according to Cornell’s All About Birds website, may even chase rabbits grazing along the shore. Like most other springtime ducks, ruddy duck males are handsome as well. 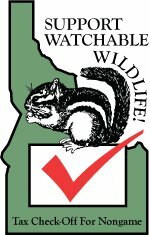 They sport a black cap with a large white cheek patch and a chestnut colored body. Their most distinctive features though occur at opposite ends of their bodies. 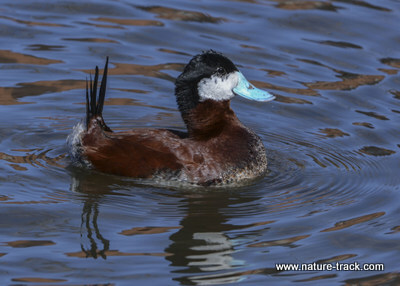 The bill of a breeding male ruddy duck is sky blue, creating instant recognition for observers. The greater scaup is actually known as the bluebill, but to me, the male ruddy duck’s bill is far more blue. After the breeding season, this characteristic fades to gray. At the opposite end rides a long spiky tail, much longer than most other ducks. More, this tail is often cocked nearly straight up, giving the ruddy duck a jaunty and distinctive look. My wife says that a ruddy duck reminds her of a rubber duckie—cute, small, compact, large-billed and perky-tailed—and when I think about it, except for the color she is right. In all, the ruddy duck is one of the most distinctive and easily recognizable birds on the water. Ruddy ducks are native to western North America. About 85 percent breed in the prairie pothole region which runs across southern Alberta, Saskatchewan and Manitoba, eastern North and South Dakota and western Minnesota but much of the Intermountain West has resident populations as well. Some populations migrate to Mexico and Central America as well as the Gulf Coast states. The ruddy duck is truly a bird of the water. It is a diving duck, spending its feeding time, mostly at night, diving to the bottom of the pond and scooping up bottom mud and straining invertebrates out of it with its bill. Ruddy ducks are fast strong fliers, capable of long migrations, but they tend to fly straight without a lot of weaving and dodging. Their best predator avoidance system is to dive under the water and emerge yards away. Ruddy ducks select mates once they are on the breeding waters. Typically, this is a monogamous arrangement but with a new partner each year. Males perform by rapidly beating their bill against their inflated neck to attract females. Once the pair mates the female lays a clutch of white eggs with textured surfaces. Proportionally, these eggs are the largest eggs among the ducks. Ducklings hatch well-formed and mother offers minimal parental services once they take to the water. Over the next month or two, ruddy ducks will be fairly common on area wetlands. Don’t miss your chance to become acquainted with one. Just don’t let it bully you.